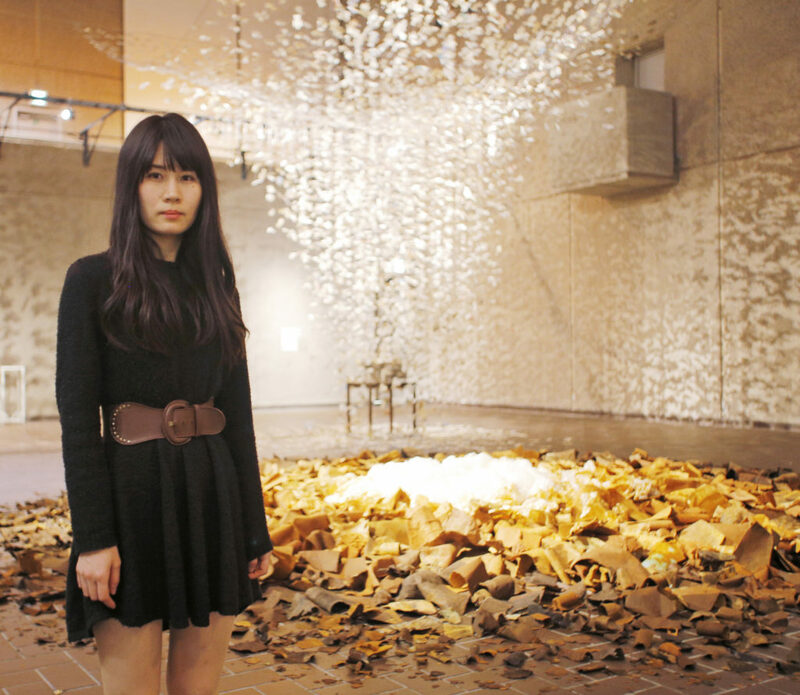 Sakuho encountered Japanese handmade paper while she was attending at Musashino Art University in Tokyo. She analyzed it carefully and developed the unique method of adding metal minerals to the traditional Japanese handmade paper making process to create “Sabi Washi” (rust paper). She creates this unique Sabi Washi from the raw materials that are carefully selected and combined by herself, and the paper she makes is the only one in the world. These materials she uses express Japanese belief on life and death, praise for aging, Japanese unique view of nature that they accept aging and imperfection as beauty, and also the appreciation toward rustic simplicity, impermanence, and imperfection which is also familiar to Japanese tea ceremony. While the sustainability is placed as the most important thing in many cases nowadays, she is asking the question why we are continuously making the products that are not biodegradable and harmful to the earth such as plastic goods. Using Sabi Washi (rust paper) and Japanese handmade paper that are made from kozo (mulberry), mitsumata (paper bush), and ganpi (Wikstroemia sikokiana), she creates artworks, interior materials, and products. She makes Sabi Washi (rust paper) using kozo (mulberry) from Shimane, Tokyo, and Toyama and iron sand from Shimane.